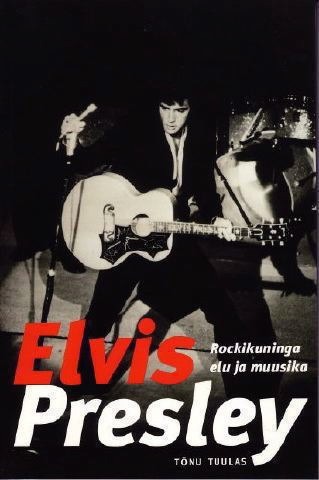 A really nicely produced original biography from Estonia, apparently published to celebrate 1999 - 2000 Elvis In Estonia (but my knowledge of Estonian isn't enough to be 100% certain!). The title translates as "Elvis Presley, Life and Music of The King." A very pleasant early Vegas concert shot in moody black and white provides a fine cover image.